The Garmin Forerunner 235 is the latest watch of the world famous Garmin Company. This watch can track the rate of your heart bit from your wrist. But the size of the display has been increased. Well, some people didn’t like the wide look of this watch. But, in our words, it does not look bad as well. It is one of the top reviewed Fitness Watch, Go here to ultimate review about smart fitness watch. Rather than that We must say it looks cool and smart. We won’t say, if you wear this watch, you will get a James bond look. But, of course, it will definitely suit your hand for its sporty look. There is a proverb, Sports watches suit every wrist of the world, and Garmin forerunner is no different from that. ​L﻿et’s summarize this Garmin forerunner 235 reviews in some pros and cons. Wrist-based Heart rate monitor system. Only compatible for the runners. Let’s start with the design of this Garmin 235 watch. The design of this forerunner 235 has not caught that much attention as it is unlike the previous ​watches. In a word, it’s all the same when it comes to its design. WorkoutGadget is can be your best place to find Garmin smart watch. But, for those who haven’t used the Garmin ​wristwatches before, we must give them a short review on the design. ​​This watch has a sporty, macho design. The diameter of this watch is just 1.77 inches whereas the thickness is only 0.46 inches. I​t is more lighter than the any other previous ​watches. This sports watch has got some great running features. This has a feature which can calculate the amount of oxygen that your body can process. Isn’t it amazing? Another feature that is unique and makes this forerunner special is its recovery advising sensor. This sensor tries to measure your tiredness and tells you how long you need to take rest before the next strenuous activity. The higher your body can process, the more fit you are. It’s that simple.​ At the same time, Garmin Forerunner 10 GPS Watch​ is also the great smart watch in the marketplace. Click here to get the ultimate review. This feature kept us astonished for a while. Actually, they are trying. This is the main fact. We are sure that this feature is going to be developed in the further additions of the Garmin Company. And for this feature, it is being interested. Actually, if anyone likes to wear this watch all day long, I would bet it is for this reason. We won’t say the tracking result is 100% accurate as it is not, But I think it is still better. ​Now we can dive into the performance of this watch. So, This is not a big deal that this watch has got this feature. But, the notable point is the Forerunner 235 Picks up a GPS signal faster than most of the other devices that we tested. If you are a Russian and want to buy this watch then there is a good news for you. This watch can detect GLONASS signal as well. GLONASS is the Russian’s version of GPS satellites. GLONASS requires extra power of the battery. But, there is an option for it. The GPS and heart rate monitor of this device are spot on. Now come to the power cell of a device – the battery. We are pretty impressed with the battery performance. A 5-mile run would burn only 5% of the battery life. Isn’t it pretty impressive? This Garmin 235 does not only track your daily run but also looks over your daily activity by an activity tracker. 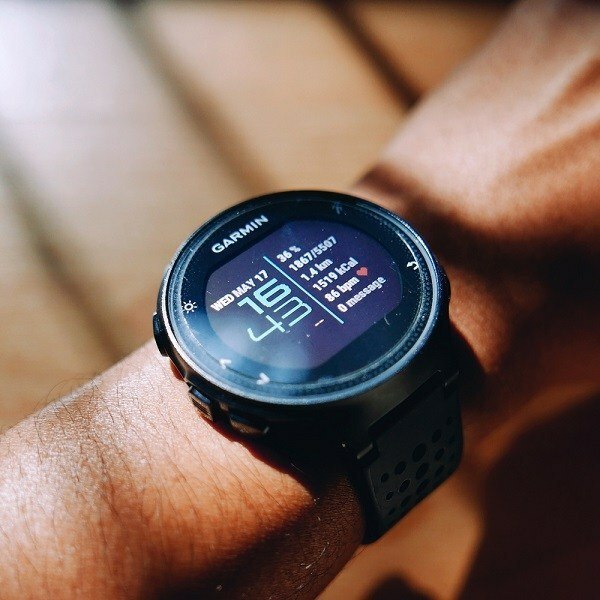 By the Garmin forerunner 235 watch, you can even receive call and text messages. Yes, you can connect this device to your smartphone. But, there is a back draw if you are not a smartphone user. You can’t send any text messages from your watch. But, if your smartphone is an Android device, then this is a different story. There is another note that I must mention here. Garmin has a proto app store. The name of that store is Connect IQ. This store contains tons of watch faces and apps. You can download any of this app with the help of Garmin forerunner ﻿watch anytime, anywhere. Go here to read in depth review. We have almost covered every feature of this watch.We are trying to give a most describable forerunner 235 reviews. At the end of Garmin forerunner 235​ review, we can say this watch would be suitable only for a runner. People who want to lose weight by doing some chores can also use this watch. Otherwise, it would not be a wise decision. Now, if you want to be a Garmin Forerunner 235’s owner without focusing on the run, then this is a different matter. There is another thing, the watch is waterproof. But it can’t last long under water. The duration has not been examined by us. But, at least we can tell that it does not do more time than you swim.